The Academy of Nutrition and Dietetics (AND) released their position paper on vegetarian diets December of 2016. The paper frequently references research conducted by nutrition faculty from the Loma Linda University School of Public Health (LLUSPH) and the Adventist Health Studies (AHS). The AND is the world’s largest organization of food and nutrition professionals. Members of the Academy play a key role in shaping the public’s food choices, thereby improving its nutritional status, and in treating persons with illnesses or injuries. In 1980, AND released its first position paper on vegetarian diets and nutritionists at LLUSPH were quite pleased. The Vegetarian Diets position paper is used by professional associations, government agencies and other industries to shape food choices and impact the public’s nutritional status. Dr. Joan Sabaté, MD, DrPH and Professor of Nutrition at LLUSPH served as a content advisor on the Academy Positions Committee Workgroup. According to AND, authors of the vegetarian diets position paper are made up of health professionals who possess thorough and current knowledge on the topic of vegetarian diets. 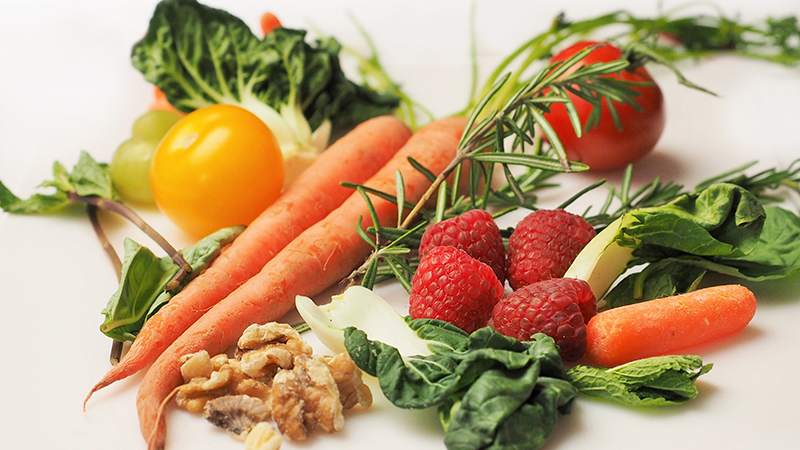 The paper provides an overview of vegetarian diets in the United States. According to a nationwide poll in 2016, approximately 3.3% of American adults are vegetarian or vegan (never eat meat, poultry or fish), and about 46% of vegetarians are vegan. In the 2015-2020 Dietary Guidelines for Americans, vegetarian diets are recommended as one of three healthful dietary patterns. The position paper also considers different aspects of the vegetarian diet and its nutritional value related to protein, iron, calcium, certain vitamins, etc. It highlights the vegetarian diet as an effective means to prevent and decrease the effects of non-communicable diseases such as diabetes, hypertension, heart disease and cancer. Much of the research to support these claims was done by the Adventist Health Studies and LLUSPH nutrition faculty. Environmental nutrition research out of LLUSPH was referenced to support findings that state that plant-based diets are more environmentally sustainable than diets rich in animal products because they use fewer natural resources and are associated with considerably less environmental damage. The Academy’s Position Paper on Vegetarian Diets is found on the eatrightpro.org website.